A brewery can be a lot of things: a cool place offering different brews to try, a relaxed space where you can meet new people, or a place to bring friends. But how do you attract customers to your brewery? What’s the secret to drawing in new business while retaining customers? We’ve laid out some simple brewery marketing tactics to put to use in your brewery. Marketing a brewery can be a lot of work. So why not take a little of the pressure off and let your customers do the hard part for you? 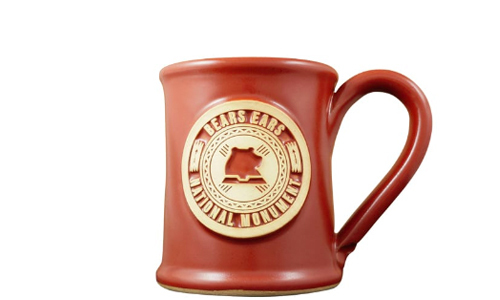 Start a mug club: a customer loyalty program that offers deals and discounts on drinks when members bring in their previously purchased steins. Everybody loves a simple rewards program that makes you feel good about buying a drink. Rewards can be straightforward, like a discounted drink with the stein, or more intriguing, like a deal on a mystery draft every time customers bring their stein. To attract the greatest number of people, make the sign-up process as simple as possible, like collecting just customers’ names and emails. 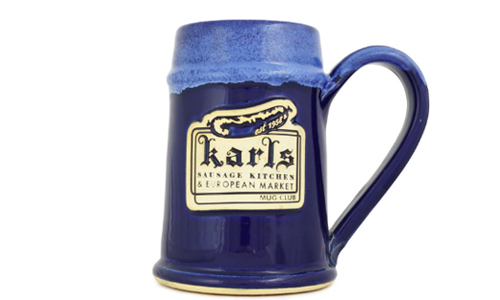 Once they sign up and purchase a stein, they get a custom branded beer stein to show off at home or bring back to your brewery. You now have free word-of-mouth advertising, since people will want to know where they can get great deals and a beer stein like that. Customers may not always be able to bring their mug club steins with them, or they might not want to give their emails out and get put on another mailing list, but a punch card or one-time use coupon for the future is an easy way to remind them to come back in for a good deal. You can choose to include coupons with every purchase, or even just stack them on every table as well as the bar. The sky’s the limit when it comes to coming up with different coupons for your brewery—you can use them as a way to call attention to overlooked drafts, turn a first-time customer into a repeat customer, and even encourage returning customers to come in at certain times. If you’re offering an enviable deal, customers may tell others about your brewery, and encourage them to come experience it for themselves! Switch it up and keep things interesting in your brewery by offering seasonal drafts, specialty beers, and new merchandise that changes as the year progresses. Change, even change as small as what beer is on tap that night, is exciting. Customers are bound to have their favorites, but adding a rotating selection to your available drafts is certain to spark interest from casual drinkers and local beer connoisseurs alike. If seasonal drafts don’t fit with the atmosphere of your brewery, there’s a whole host of other ways to mix up your menu. Brainstorm some different ways to switch it up throughout the year. You can offer drafts based on a different theme every week, or even have your customers vote on what beer should appear on the menu next. A huge portion of the population uses social media every day, whether it’s while taking the bus or while out for a drink. There’s a way to turn that screen time to your advantage. Leverage the time people spend on their phones, and use various social media platforms to promote your brewery, run contests, and attract new customers in a way that’s fun for everyone involved. Social media contests are a great way to engage with your loyal customer base—who are hopefully already following you—and new customers who run across your brewery while browsing social media. You can conduct giveaways of branded merchandise, offer drink deals to anyone who tags your brewery in a post, or feature customers across your different social platforms. Putting a few of these brewery marketing ideas into play is a great idea, but what would a brewery really be without a great container for those brews? 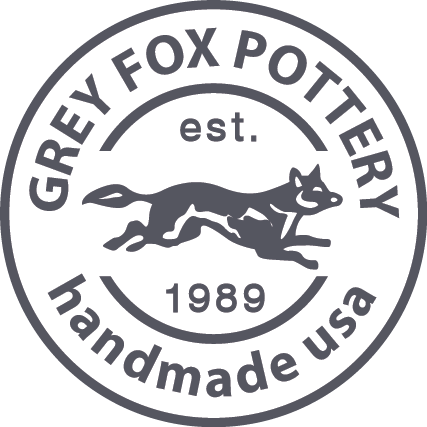 Our handmade stoneware steins can be branded with your brewery’s logo and will look great on your bar, in a display case, and in your customers’ happy hands. The benefits of custom beer steins are numerous. Not only will they be a unique feature at your brewery, but customers may like them so much that they want to take them home! 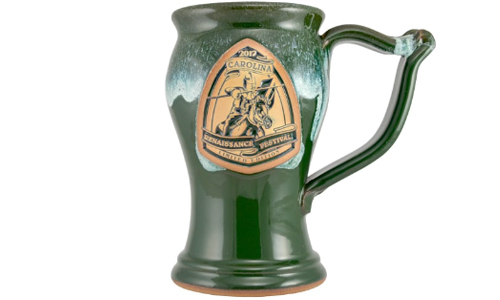 For customers who love collecting things or those who stockpile steins as gifts for family and friends, or maybe only for the members of your mug club, you can offer limited-edition custom beer steins for purchase. We’re talking exclusive colors or an alternate logo—something that will make customers want to feature those steins in their homes. Contact us to find out more about our high-quality products and minimum order numbers.